Lecture and discussion with the Israeli human rights lawyer and activist Eitay Mack. In his lecture Eitay Mack will critically examines the dynamics between two narratives of Israel’s arms trade and its conduct in the Occupied Palestinian Territories. The official narrative of the State of Israel since its founding portrays it as a frontier for western Jewish democracy founded upon liberal values and respecting international norms and civil rights. Alongside this, Israel sees its role in the world as a security partner that exports much needed and innovating military technologies. 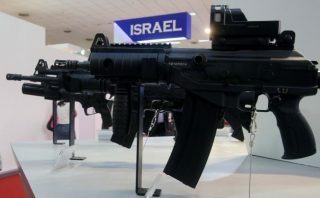 Yet, through its arms trade Israel is in fact actively involved in ongoing violent conflicts, as well as genocide, crimes against humanity, war crimes and severe violations of human rights the world over. Eitay Mack will highlight both overt and covert versions of Israel’s framing of its role in the world and discuss their broad implications. Eitay Mack is a Jerusalem-based human rights lawyer and activist who works towards increased transparency and public oversight of Israel’s defence exports. Mack is acting to expose the State of Israel’s military and diplomatic connections (past and present) with regimes that committed war crimes, crimes against humanity, and severe violations of human rights– such as South Sudan, Serbia, Rwanda, South Africa, Argentina, Chile and Sri Lanka. Mack is also representing Palestinians and human rights activists in civil cases against the Israeli security forces, involving violence, the denial of liberties and false arrests. This program is a cooperation between De Balie and gate48.